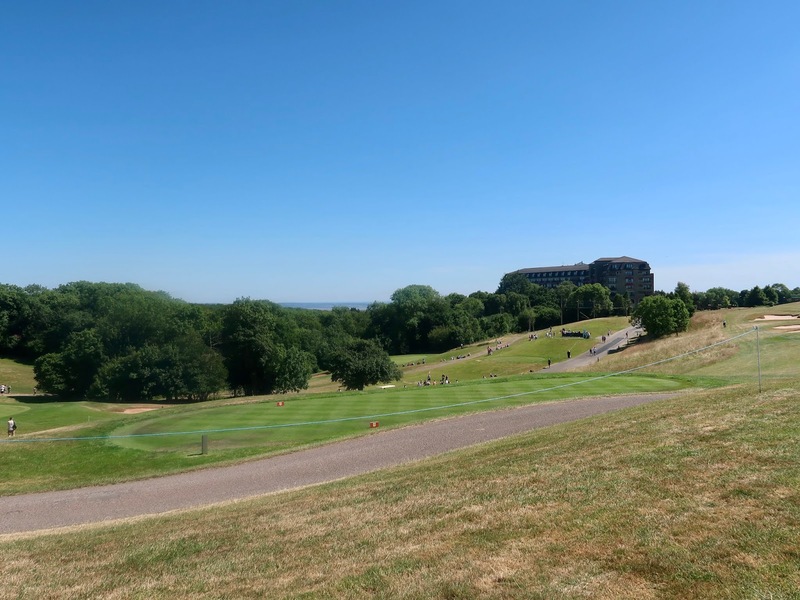 One of our favourite hotels in South Wales is The Celtic Manor Resort. We often go there for afternoon tea and we've spent wedding anniversaries there too. 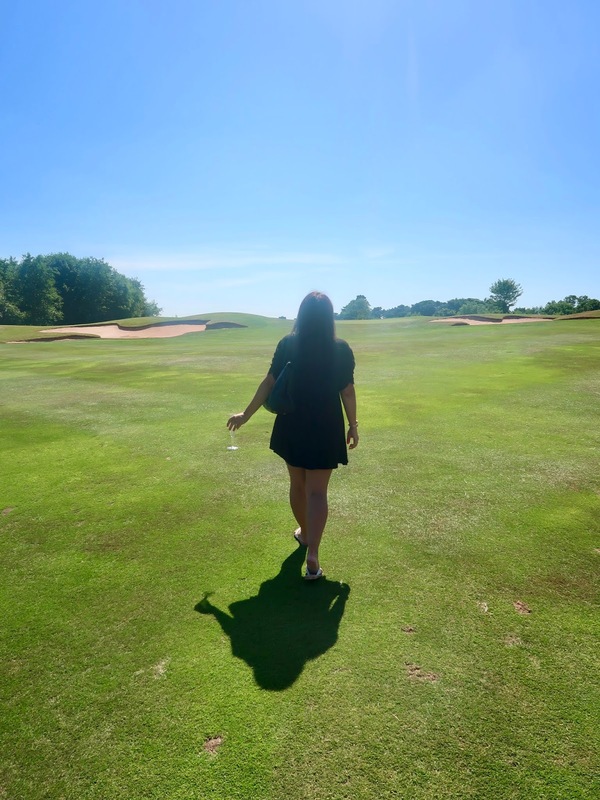 The hotel itself is renowned for its world class golf offerings after hosting The Ryder Cup in 2010 so when I was asked if I'd like to attend The Celebrity Cup, I had to say yes. I'll be the first to admit that I've never actually watched golf. I've dabbled in playing a few times but that's as far as my knowledge stretches. I wasn't sure what I'd think of the event but knowing that both my husband and I enjoy outings to the hotel, I thought it was the perfect opportunity to watch a game. 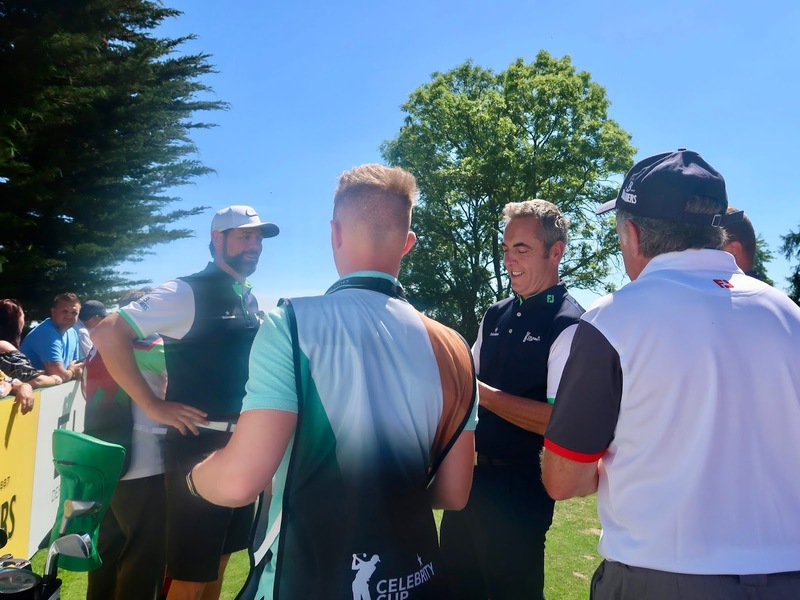 The Celebrity Cup is played over 2 days by an array of celebrities in 4 teams from Wales, Scotland, Ireland and England. 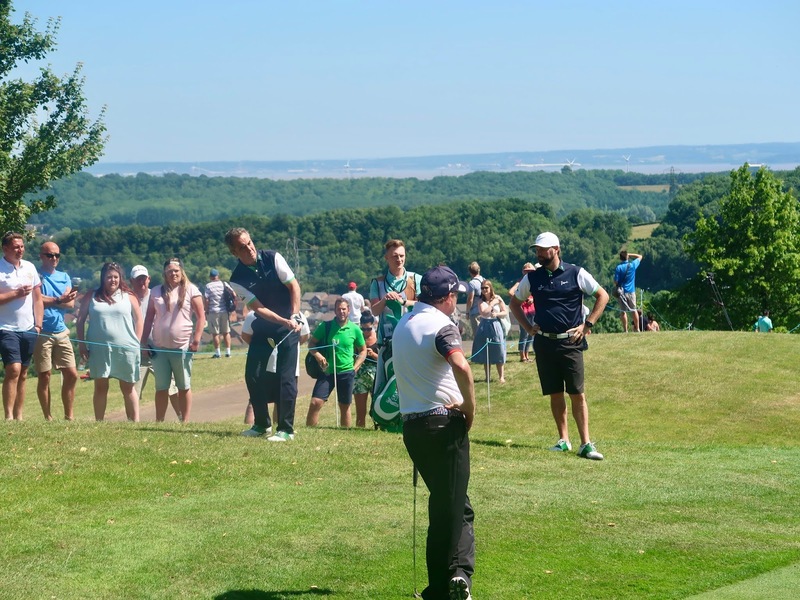 Teams go head to head to raise vital funds for Velindre Cancer Centre. This year's teams are listed below. 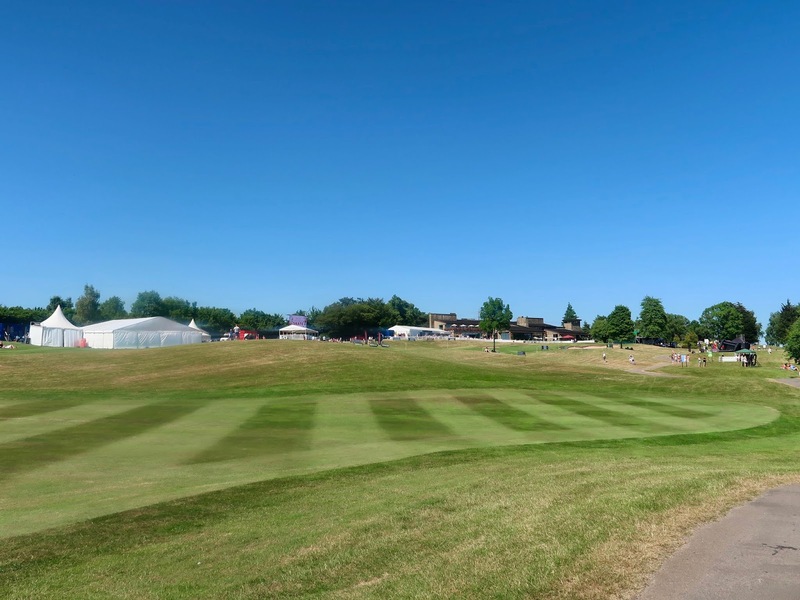 We arrived at the event and my first impression was how beautiful the course was. I've never really thought of a golf course as being in a pretty setting but this one was stunning. It had sweeping views of South Wales and beyond and of course the hotel as a backdrop. We really lucked out with the weather. It was clear skies and sunny, making for ideal conditions to soak up the atmosphere. The first thing we did was head to the food tent after being enticed by the wonderful aroma. There were a few different things to choose from but we opted for the Cen pop up (which is an Asian restaurant based in the hotel). The food was delicious and the portion size was just right. There were plenty of drink offerings but we opted for a jug of Pimms, which was perfectly refreshing in the hot weather. 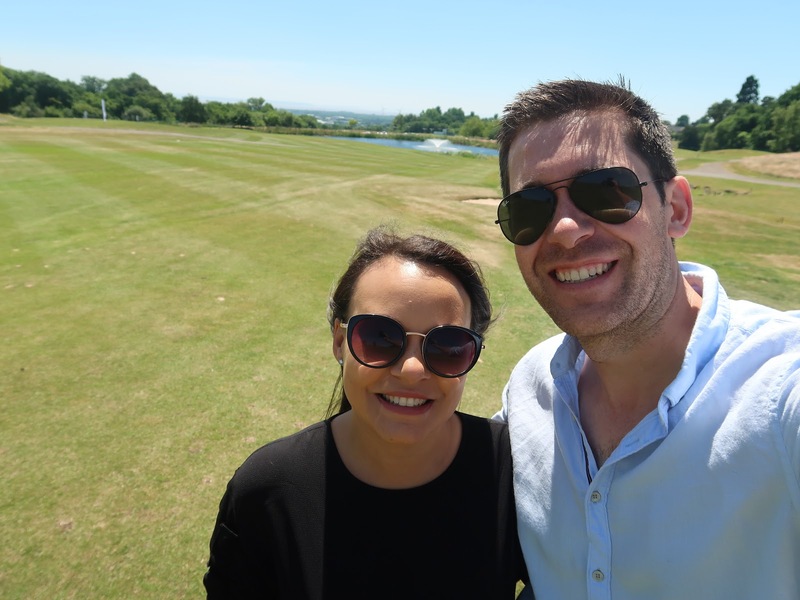 We then watched the golf. 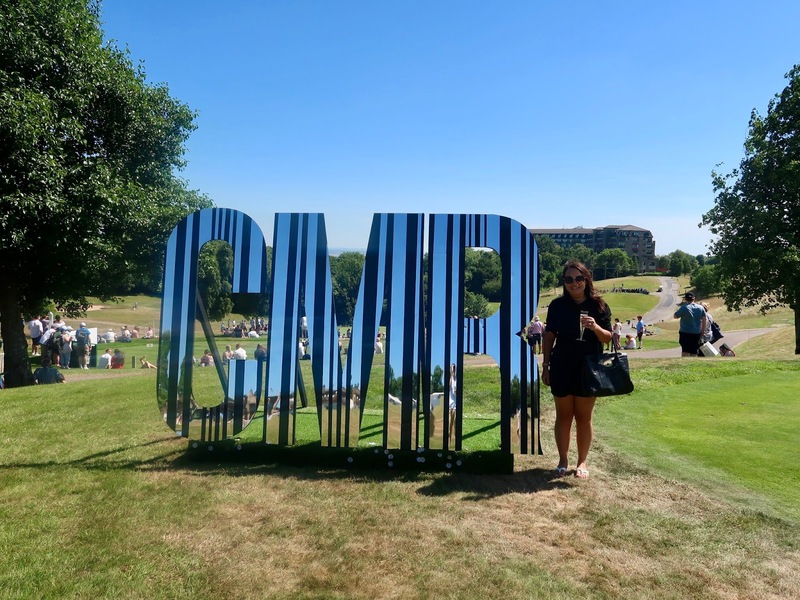 We followed the players around the course and I was surprised at how much I enjoyed it (although I was worried about being hit In the head with a ball). 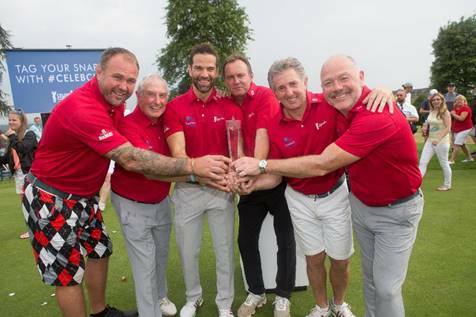 Team Wales were crowned this year's Celebrity Cup winner's after beating England 14-12. Overall, we enjoyed our new experience. It made for a lovely day date. We would return again. Oh this sounds like a lot of fun! I think this event woukd be good as I know lots of the people far more than I would of real golfers I'm sure! Sounds and looks like great fun! I love how sunny it was which I'm sure really added to the experience! What a fab trip! I’m not a massive golf fan but i’d definitely enjoy this. That sounds like such a great day out. I'm not one for golf but I love Mrs Brown's Boys so would have loved seeing the stars in action. sounds lots of fun and the weather looks amazing.